A Russian dilemma has hit the Faroe Islands - the semi-autonomous nation of 18 islands in the North Atlantic. The Faroese government has refused to support EU sanctions on Russia imposed after Russia's annexation of Crimea from Ukraine in 2014 - making it one of the only administrations in Western Europe to not do so. From the outset, the Faroe Islands' leaders criticised the EU measures or opted to have no opinion on the matter, while Faroese fishermen boosted exports to Russia. 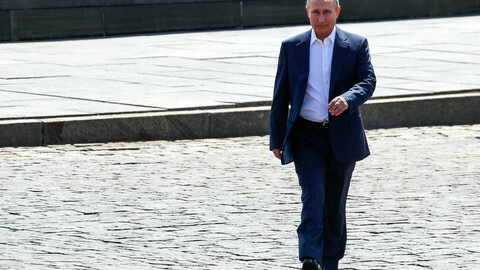 Meanwhile, on 24 August this year, the Faroe Islands' minister for foreign affairs and trade, Poul Michelsen, signed a new memorandum of understanding with Russia via the Eurasian Economic Union (EEU), a Moscow-led trade bloc. 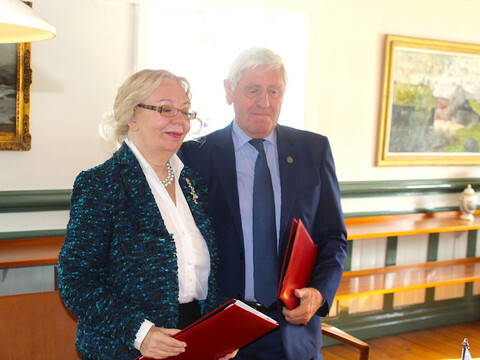 A representative of the EEU, Tatiana Valovaya, co-signed the new deal, designed to boost trade and cooperation between the two sides, in Michelsen's office in Torshavn. Earlier this year, when Denmark, to which the Faroe Islands still belong, expelled two Russian diplomats as part of a wider European reaction to Russia's poison attack in Britain, Michelsenon also made clear the Faroe Islands was not part of these measures either. In Copenhagen, the political establishment is becoming increasingly frustrated with that point of view. The Faroe Islands is constitutionally still a part of the Danish kingdom and the Danish government is a staunch supporter of EU sanctions against Russia. Michael Aastrup Jensen, the foreign affairs spokesman for Venstre, the main party in Denmark's ruling coalition, shared his frustration with EUobserver. "My personal opinion has been clear for a long time. I find it very problematic that the Faroe Islands enter into this new deal with Russia and a number of Russia's close allies. They go against all other countries and territories in the EU community, who are trying to isolate Russia and stop the kind of power-politics that [Russian] president [Vladimir] Putin applies towards Crimea, Georgia, and other states," he said. "I find it very, very unfortunate for Denmark and for Europe, that a part of the Danish realm enters into this kind of [new trade] deal", he added. Jensen found it likely that Putin would use the Faroe Islands for propaganda purposes. He also warned the Faroe Islands that animosity towards its administration may spread in the EU. 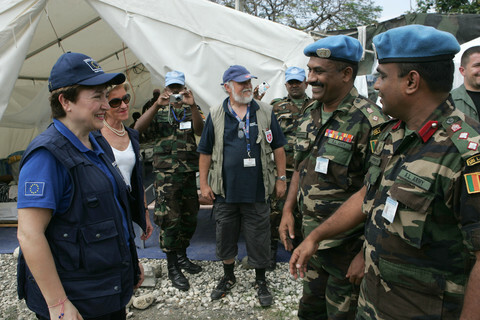 Several former Danish ministers and other key politicians have voiced similar consternation. But back in Torshavn, Michelsen and the rest of the Faroese government remain steadfast. The government is working hard to boost exports of fish to Russia, presently worth some 2.5bn DKK a year (€355m/yr) - a staggering sum in the Faroe Islands. 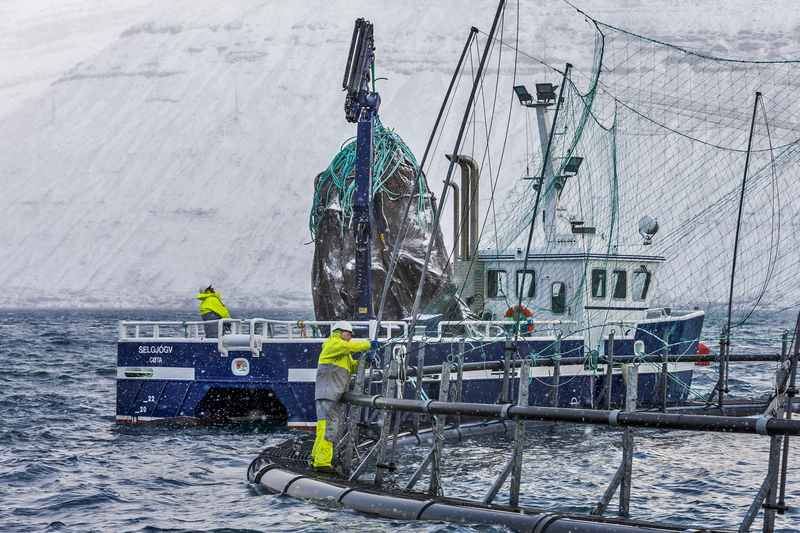 Local fishing companies now do so well that everybody in the Faroe Islands feels the benefits. The Faroese economy has grown by 6-8 percent for the last several years, unemployment has been practically eradicated, and more young people are returning to the islands from abroad. For the first time ever, the population has surpassed 51,000 people. The Danish government seldom speaks out on the matter, squeezed, as it is, between its wish to support the EU sanctions on the one hand and its desire to remain supportive of the Faroe Islands on the other. A part of the dilemma is that, legally speaking, there is nothing to criticise. The Faroe Islands were never part of the EU and never bound by any sanctions agreed in Brussels. Meanwhile, European sanctions do not prohibit exports of fish to Russia. The measures, first applied in 2014, are first and foremost aimed at individual members of the Russian leadership and at barring Russia's access to foreign capital and military technology. 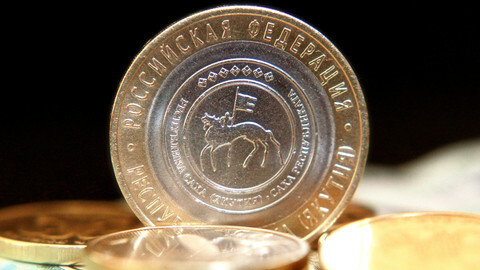 In retaliation, Russia in August 2014 banned the import of several types of goods from EU countries, foodstuff in particular. This was how fish came on the agenda in the first place. In Norway, salmon-farmers lost all sales of fresh salmon to Russia. Norway, which is not an EU member but which was supportive of the EU sanctions, produces more salmon than any other nation, but from 2014 Faroese salmon replaced all of Norway's exports of fresh salmon to Russia. A deft political move may have paved the way for the Faroese fish boom. In the summer of 2014, the head of the Faroese government, Kaj Leo Holm Johannesen, travelled to Moscow and made it clear that the Faroe Islands did not support the EU sanctions. Russia, in turn, announced that imports from the Faroe Islands were not covered by Russia's ban on fish imports from the EU. Today, Russia does still not buy fresh fish from the EU, Norway, or Iceland, while the Faroese are making good money by filling the gap. In Torshavn, Michelsen, the foreign and trade minister, refused to take a political stand on the EU action. "I don't have any opinion on that," he told this website. "I may, of course, as a private citizen have an opinion, but as a member of our government, I do not have one," he said. He offered four trade-related arguments why the government in Torshavn did not support the EU measures. Firstly, it would hurt the Faroese economy to an unreasonable extent, he noted, if the Faroe Islands backed the sanctions and then lost its access to the Russian market. "We would go bankrupt the day after. We don't have any product we can sell except fish. Also, we have fisheries agreements with Russia in the North Atlantic that have to be renewed every year. It would have untold consequences for us if that relationship went sour," he said. EU countries, including Denmark, he added, still sell all the other goods to the Russian market that Russia does want to buy. Denmark still exports beef and machinery to Russia, even if Russia does not want to buy Danish pork, for instance. "Denmark applies double standards in this case. Denmark increases its trade with Russia wherever possible, while they talk about our lack of moral values," Michelsen said. He also said the legal structure of the Danish kingdom stood on his side. According to the Danish constitution, the Faroe Islands cannot conduct its own foreign policy - foreign and security policy are prerogatives of the Danish government despite devolution. 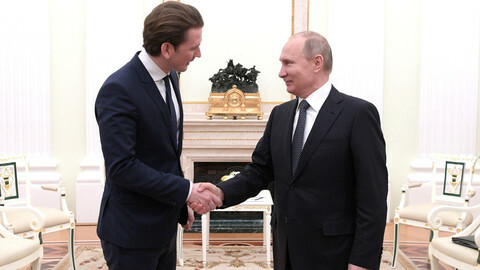 For Michelsen, this means that he is not obliged to have any opinion on the sanctions against Russia or related matters. The fact that Denmark pays an annual grant of 642m DKK to the Faroe Islands does not change anything, he added. "Our cooperation with Denmark does not include foreign policy. We have not been asked what we think. Why then should I have an opinion?" he said. Michelsen also highlighted the side-effect of a recent conflict on fish quotas between the EU and the Faroe Islands. 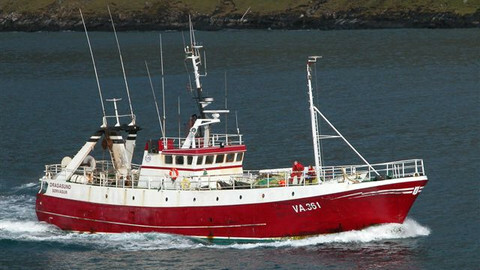 In 2013, the EU blocked Faroese vessels from all EU harbours. It accused the Faroe Islands of granting itself exceedingly large quotas of herring and mackerel in the North Atlantic, endangering fish stocks. All Faroese exports to the EU - the islands' largest market - were blocked overnight. The Faroese were shocked. 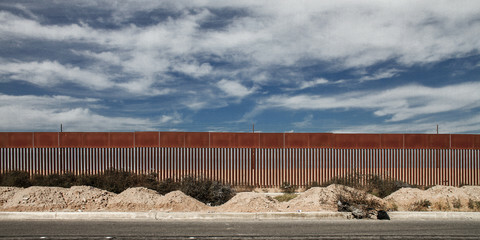 The conflict ended a year later, but it was not forgotten. "It's not that we want revenge, but we learned how important it is not to be over dependent on one single market," Michelsen said. In Lagtinget, the Faroese parliament, the former head of the government, Holm Johannesen, who is now in opposition, said he stood fully behind his trip to Moscow in 2014 and that he agreed completely with the Faroe Islands' present administration. "This is about our nation's survival", he told EUobserver. Over lunch in Torshavn's local Rotary club, some 20 leaders from public and private companies all concurred. Hermann Oskarsson, former head of Buskaparradid, the Faroese Economic Council, an independent body, also agreed. Oskarsson, who is now a lecturer at the University of the Faroe Islands, is well known for his critical approach to local politics, but in this case he backed the government. 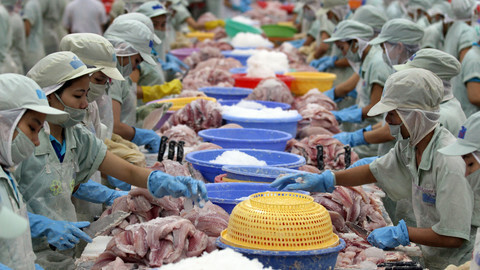 "Politicians here are to a very large degree just following what they are told by the very few, very rich individuals and businesses in the fishing industry, but I do not see anything invidious in our exports to Russia," he told this website. "You will not find one politician in any country in the world who would risk such large portions of the wealth of his or her country as we are talking about in this case. The value of our exports to Russia equals what we spend in total on the import of goods for private consumption plus all the oil we use for the production of energy," he said. 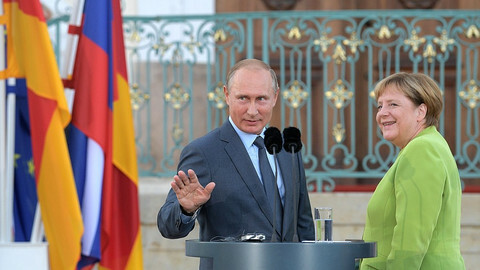 Oskarsson compared the Faerose government's approach to Russia to visits paid by the Danish queen and Danish politicians to Saudi Arabia, a regime he called "bestial", but also one which Denmark could not afford to offend. "The Faroe Islands are extremely vulnerable because we only have fish to trade in and we are a very small player. There is nothing uncommon in our reaction in this case," he said. "That's the way of the world," he said. The battle over Atlantic fishing rights is to reach new levels this week, with EU expected to vote through economic sanctions against the Faroe Islands. Moscow stopped paying its €20m annual bill to the Council of Europe after criticisms of its human rights record. Now it appears to be waiting for the Strasbourg-based body to crumple. What happens when a difficult deadline hits? This is precisely what is being played out in EU fisheries as we approach the landmark legal commitment under the Common Fisheries Policy to end overfishing by 2020.